I just read there are already 498 parties scheduled for the week of SXSW. You can see why I'm having a hard time scheduling what shows I want to see. There are so many bands playing all over the city at any given time. It's crazy. Well, Thao Ngyuen and the Get Down Stay Down are laying and are generally considered a DC band. I'd consider them tied with These United States for best representation from DC. 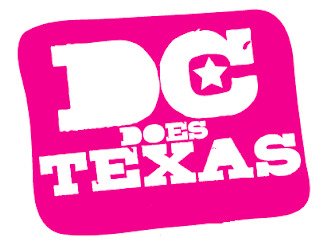 A few other DC artists are going to be in Austin, including US Royalty, and a bunch of DJs like Tittsworth and Nadastrom. Good point Valerie. Of all the SXSW bands with ties to DC, Thao is without a doubt my favorite. I don't know if she and the GDSD think of themselves as a DC group but I should've mentioned them nonetheless. I'm planning to see at least two of their sets. It'll be interesting to hear some of the songs off her upcoming album.